City of Endless Opportunities to Explore! New Orleans is a city that is recognized world wide for Bourbon Street and the annual Mardi Gras Festivities but you would be missing the boat if that’s all you got out of your experience in the Big Easy! A city of music, culture, food, history and a whole lot of celebrating has so much to offer in so many diverse pockets of the city. 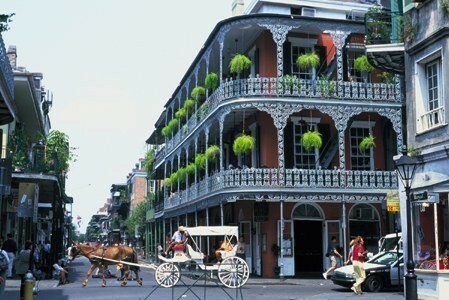 Bourbon Street is the never ending party that everyone recognizes but the next time you visit this culturally rich city, I implore you to investigate the entire French Quarter, spend a day at the Market, enjoy Frenchman Street, shop on Magazine Street and even venture to Mid-City! Each and every trip I make is a new adventure and I never run out of new things to experience. You will enjoy this luxury too! This entry was posted in Travel and tagged Bourbon Street, Culture, French Quarter, Frenchman Street, Louisiana, Magazine Street, Mardi Gras, New Orleans, Travel, United States. Bookmark the permalink.